The bluegrass super group Dave Rawlings Machine took the stage on October 4th, 2014, at the Hardly Strictly Bluegrass Festival at San Francisco’s Golden Gate Park. This show was one of the last to round out the group’s fall west coast tour. So, you’re probably wondering who comprises this band? Well, Dave Rawlings Machine assembles quite a cast of players hailing from diverse backgrounds, including: Americana, country, classic rock, bluegrass, and even classical. The group’s namesake, David “Dave” Rawlings, is highly regarded in bluegrass and Americana music as a guitarist and producer. 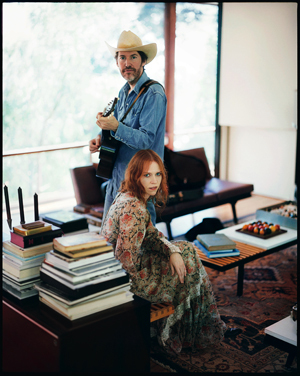 But, he is best known within the genre as the musical partner of bluegrass singer-songwriter Gillian Welch. Rawlings also produced records for Old Crow Medicine Show. In 2012, he was voted Americana Instrumentalist Of The Year. Gillian Welch, in partnership with Rawlings, has released five critically acclaimed studio albums. Although she was born in New York, Welch was raised primarily in California, as her adoptive parents were composers and songwriters for The Carol Burnett Show, a popular variety show, which ran from 1967 to 1978. After obtaining a degree in Photography from the University of California, Santa Barbara, Welch moved across the country to study songwriting at Boston’s Berklee College of Music. It was there that she met Rawlings, as they were both auditioning for Berklee’s country band. After two years of study, Welch moved to Nashville to pursue a musical career in 1992, and Rawlings followed. In 2000, Welch expanded her role into film. She sang two songs on the O Brother Where Art Thou? soundtrack for the film of the same name. The first track was “I’ll Fly Away”, which Welch shared with bluegrass singer and fiddler Allison Krauss. The second track, “Didn’t Leave Nobody But the Baby”, featured revised lyrics written by Welch and record producer T-Bone Burnett, and was performed by Welch, Krauss, and legendary Americana songstress, Emmylou Harris. Welch also served as associate producer on the soundtrack, and had a small cameo role on the film. 2003 saw Welch and Rawlings release Soul Journey, an attempt at a happier record when compared to their previous music, that received mixed reviews. And, listeners would not have another Gillian Welch album until 2011, when she released The Harrow & The Harvest. But, Welch didn’t sit idly by in those years between albums. She was busy helping Rawlings co-write and craft the songs for what would become A Friend of A Friend, the 2009 debut Dave Rawlings Machine album. 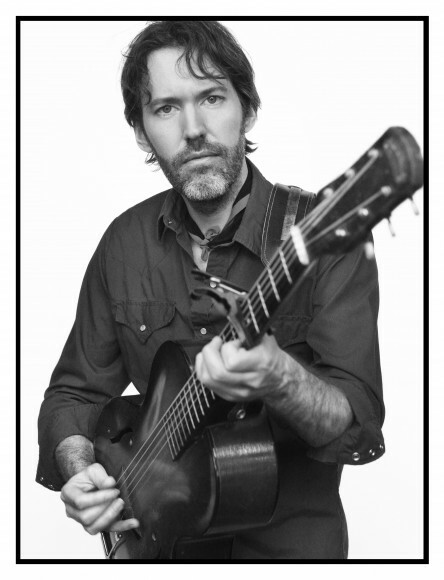 Willie Watson, a founding member of the Old Crow Medicine Show – a Nashville based Americana string band – takes part in the Dave Rawlings Machine gigs. Watson contributes guitar and banjo to the group. And, when he his not with Dave Rawlings Machine or Old Crow Medicine Show, Watson has launched a solo career, having just released his first album with Dave Rawlings serving as producer. Additionally, Punch Brother’s member Paul Kowert brings his talents on the upright bass to the Dave Rawlings Machine. Lastly, John Paul Jones, a multi-instrumentalist, rounds out the Dave Rawlings Machine lineup. If the name sounds familiar, yes, we do mean that John Paul Jones, who is most well-known around the world for his contributions to classic rock as Led Zeppelin’s bassist, keyboard player, and co-songwriter. In the Dave Rawlings Machine, Jones primarily plays mandolin. Check out the group’s performance, below. Dave Rawlings Machine is. . .